I'm not sure that I came to art journaling in the usual fashion. 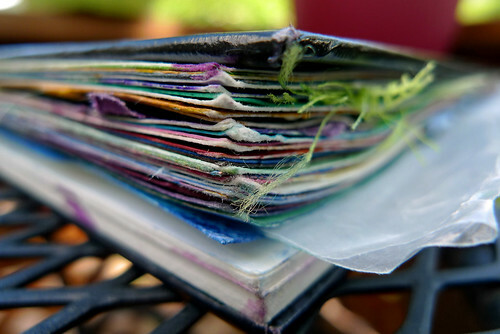 I didn't start with that deliciously freeing, fast and loose visual alternative to handwritten journaling that I hear my friends describing their introduction to art journaling as. 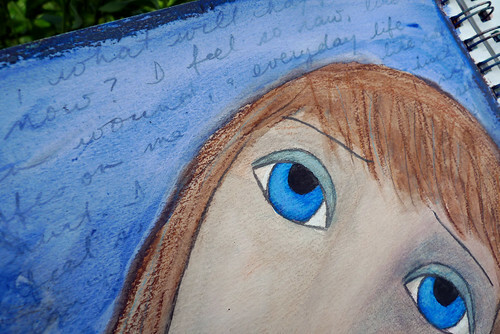 Instead, I used an art notebook of mixed media paper to learn how to paint faces. I'd signed up for an online art class and needed to practice. But painting on canvas felt too scary (and expensive), and loose paper annoyed me. 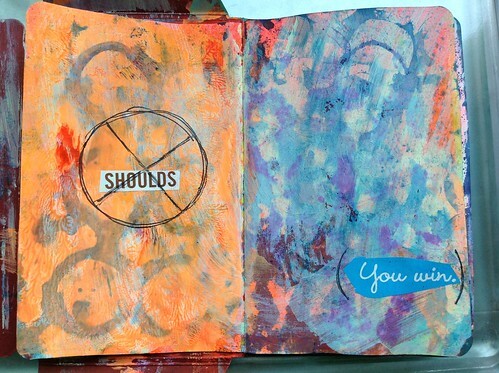 So art journaling it was. I filled page after page of the art notebook with full-on paintings of women. I painted for the distraction, to have something to think about other than a dark, dark time that I was enduring in my battle with an eating disorder. But it wasn't long before I reaped more benefits from painting than mere distraction. Instead, I found emotion pouring out of the end of my brush, and within a startlingly short amount of time, I was making major forward progress against the eating disorder -- something that I had literally given up hope for. Painting became self-preservation, self-healing, self-care. It filled me with purpose, a sense of an accomplishment, and joy. I could lose myself in painting for hours and hours. I had never experienced anything like it, and I will never stop being grateful for the powers and coincidences that brought art into my life. It turned me back into a person at a time when I thought that living as a shell was the best I could expect, and continues to be a healing and illuminating force for me. So when I heard about what my friend Anna is doing with her program Healing He[art]s, I was more than a little excited, and wanted to tell you about it . 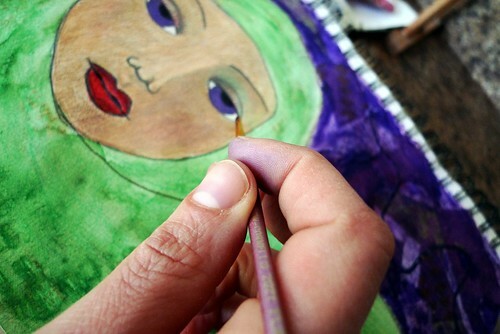 . .
Healing He[art]s is a mechanism to put art supplies in the hands of women who are struggling. The vision is for women to give the gift of art to other women. Because we know that art heals. We have lived it, and we would like to pass along that encouragement to others. Anna and her supporters are gathering art supplies in order to assemble and donate 144 art journaling kits this holiday season. Each kit costs $25, and contains some basic supplies, such as paints, pens, papers, brushes, and, of course, a journal. 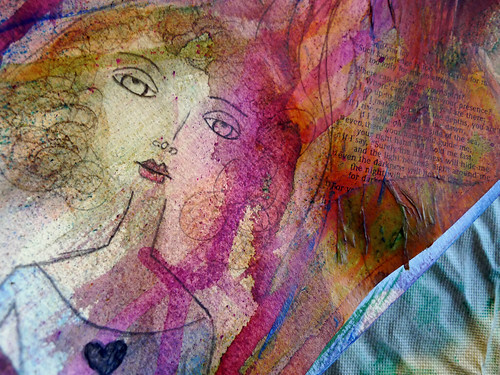 I love the vision of this project, because I know the powerful healing effect that art can have. You start painting, pretty sure this art thing is going to amount to a whole lot of nothing, and then all of sudden you find that you're painting your fractured soul back into wholeness for the first time in forever. If you'd like to donate to Healing He[art]s, you can do so here (major credit cards, Paypal, checks and money orders are accepted). And stay updated with the kits' progress here.